After my late lunch at Dong Bei Dumpling in Binondo, I and my pedicab driver parted ways. I hope to meet him up again if I ever go to Manila in future, but I guess he would probably not remember me. 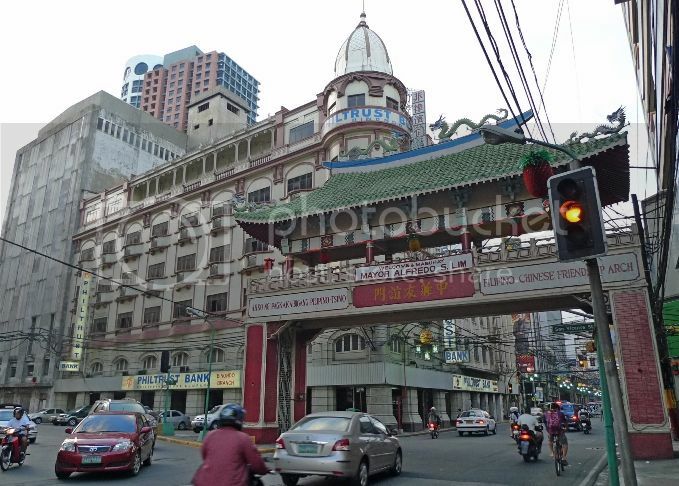 Anyway, after he left, I decided to walk around and explore Binondo, the Chinatown of Manila. 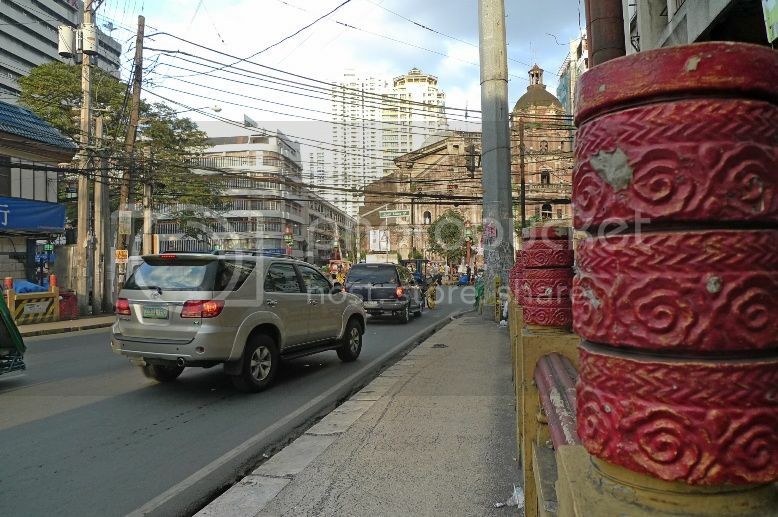 Although I had my Binondo Map with me, I still got lost several times! At times, I was just too lazy to refer to the map and actually enjoying losing myself in the streets. 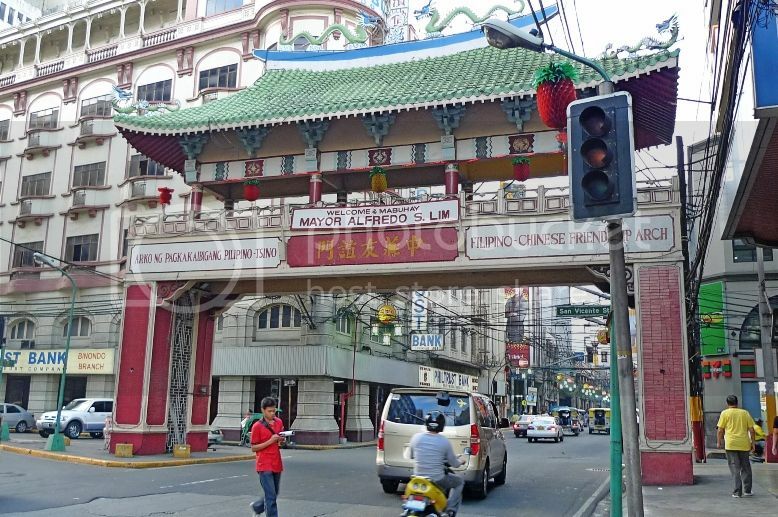 This is the Filipino - Chinese Friendship Arch that greets you as you enter Binondo at the bottom of Jones Bridge at Quintin Paredes Street. 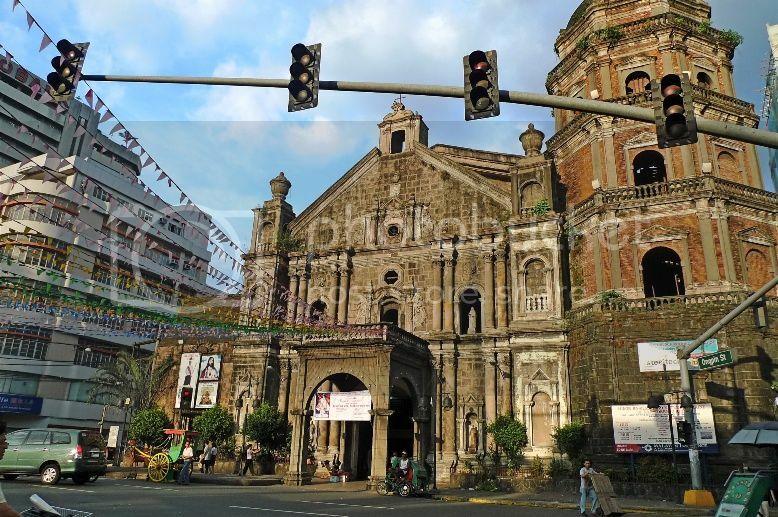 Walking further ahead, you would come across Binondo Church located at the heart of Manila's Chinatown along Ongpin Street. It would be quite impossible to miss this famous landmark. I did not take many pictures as I thought the ugly looking electrical wiring hanging all over the streets would spoil my photos! I really think they should do something about all these unsightly wires! But I took this picture below as I thought the streetlights were quite unique and interesting. 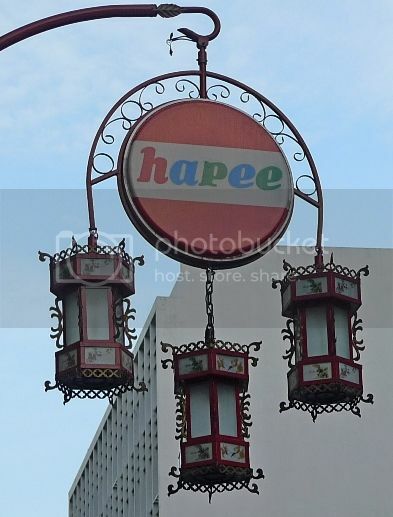 You can see these beautiful lantern streetlights hanging along Ongpin Street. Ooh! 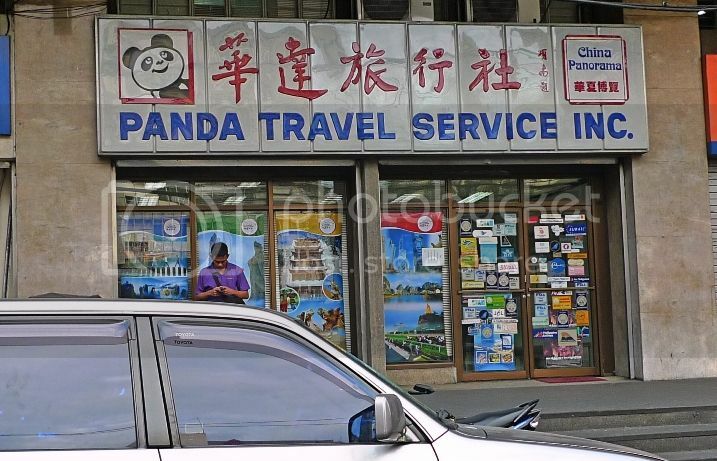 I saw my company - Panda Travel outlet here! Haha! 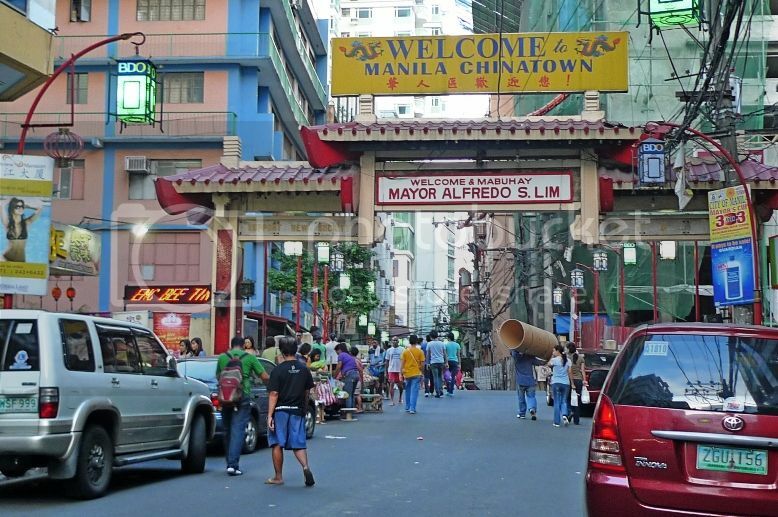 Another arch welcoming visitors to Manila Chinatown, though I could not remember which street this is! 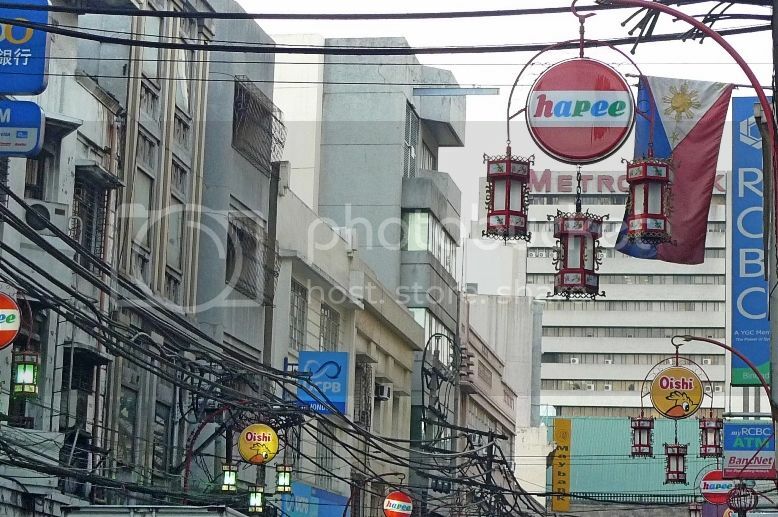 Though I suspect it is along Ongpin Street. Notice the BDO lantern on the top left of the photo? BDO stands for Banco De Oro, one of the largest banks in the Philippines owned by a Filipino Chinese Henry Sy who also owns the famous SM chain of malls. During my trip in Manila, I came across many BDO banks there! By the way, his SM Mall Of Asia is the 6th largest mall in the world. 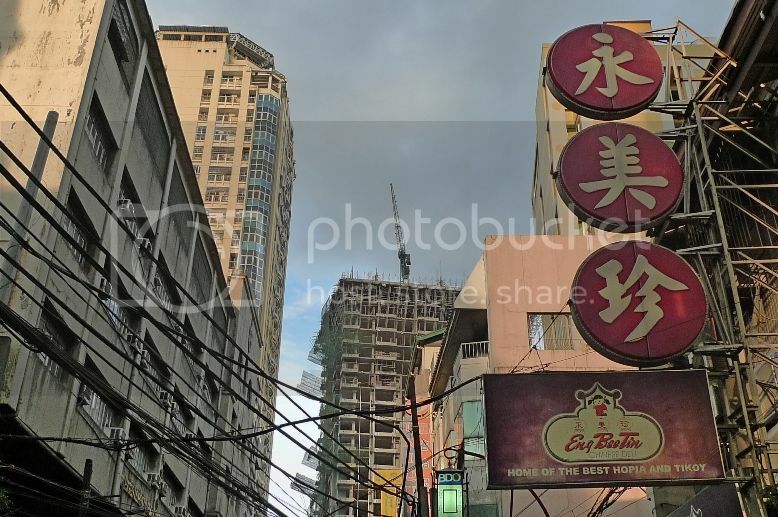 I was told that there were more than a dozen banks in Quintin Paredes Street alone, probably making Binondo one of the most "banked" districts in the Philippines - a reflection of the Chinese Filipino people's accomplishments perhaps? 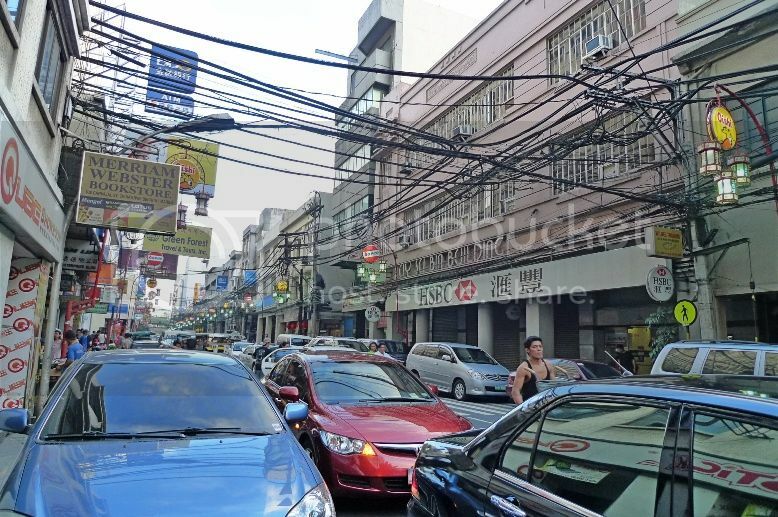 I think most of the good restaurants and shops are centred along Ongpin Street. It was too bad that I had a late lunch and was too full to try other eateries in the area. But I made sure I did not miss buying some hopia and tikoy at the infamous Eng Bee Tin. 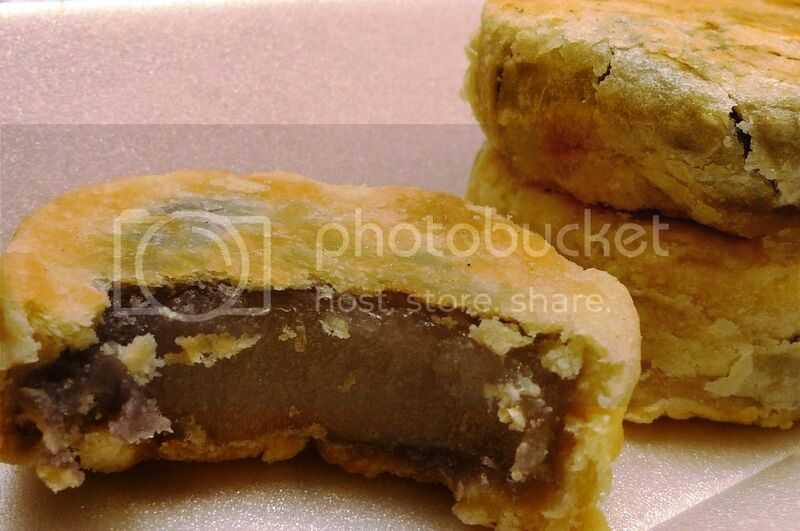 For the uninitiated, hopia is a popular Filipino bean filled pastry whereas tikoy is a sweet dessert made from glutinous rice and is more popularly known as nian gao in Malaysia. 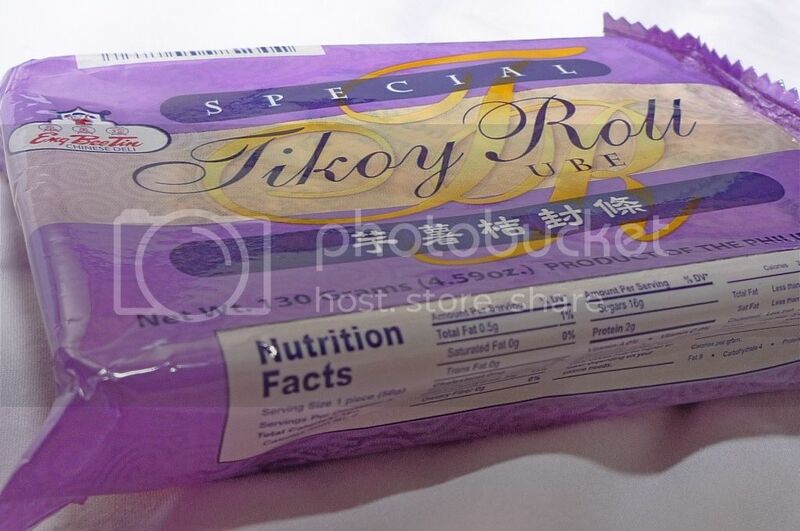 I bought a Tikoy Roll in ube (purple yam) flavour. This is how it looks like after I unwrapped the packet. I brought it back to my hotel where I ate it for supper. It did not taste like the nian gao that I was accustomed to, but it was still quite tasty. Look! I ate it with a pair of chopsticks! Haha!! 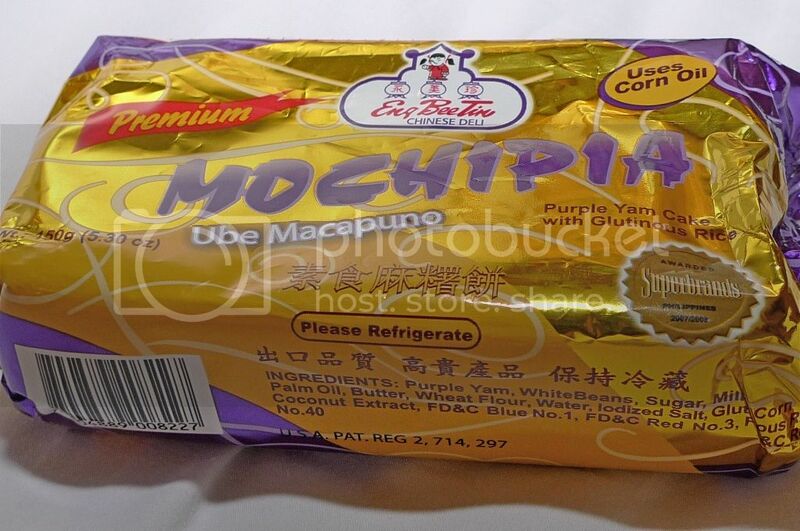 I also bought the hopia from Eng Bee Tin, but it was somewhat a combination of mochi and hopia, thus the name Mochipia. 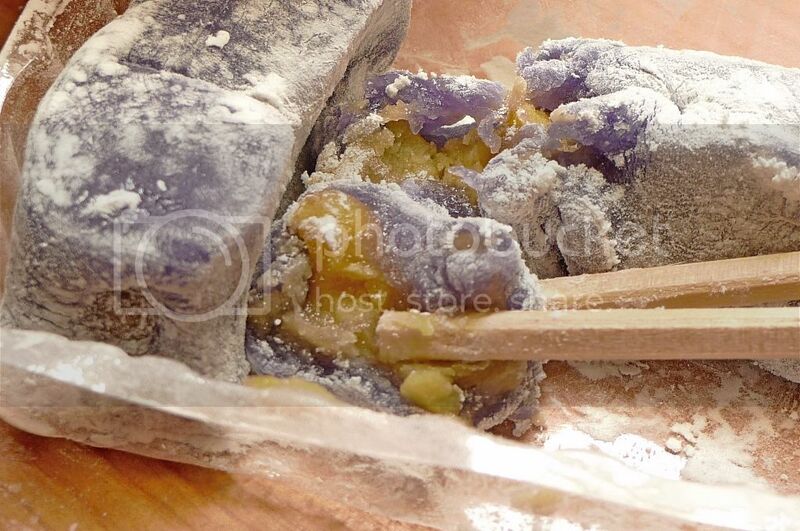 I did not know why I also chose the ube flavour for this Mochipia, perhaps because I like the taste of purple yam! Anyway, I like this Mochipia! Really quite yummy! 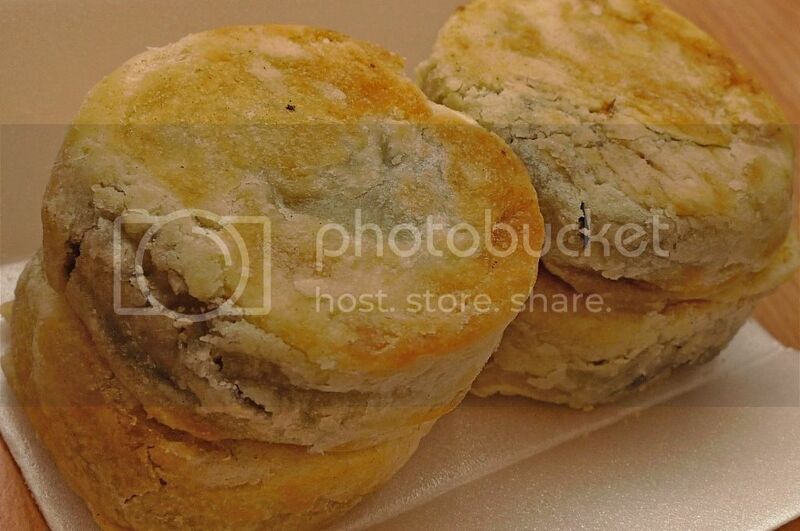 Well, better than the tikoy in my opinion. 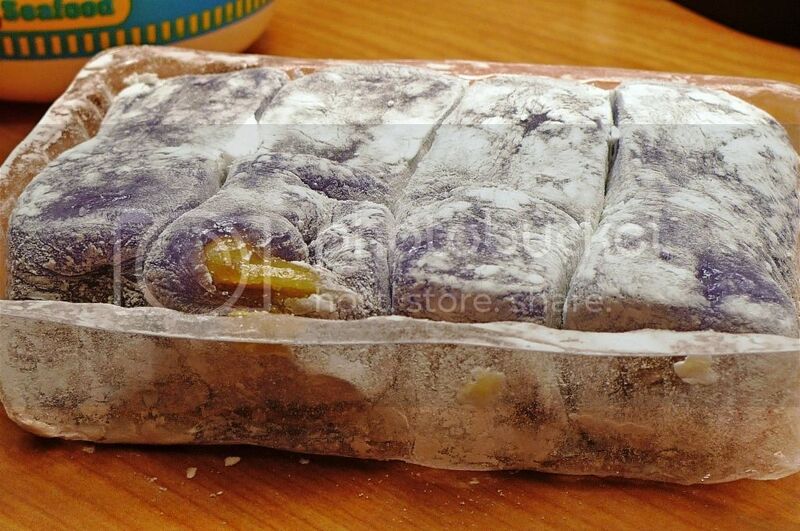 According to the sales assistant, the Mochipia must be refrigerated after purchase or it would only last a few days. 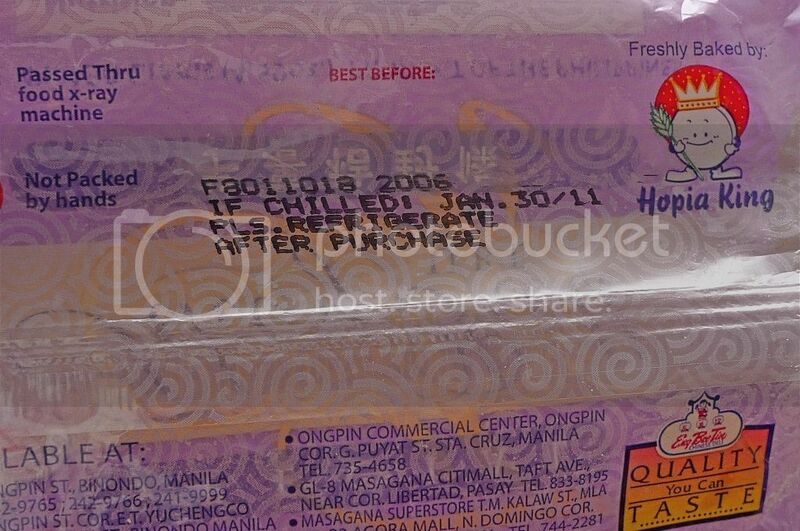 I was thinking of returning to Eng Bee Tin on my last day in Manila to purchase some hopia as pasalubongs (Tagalog word meaning presents or gifts bought from a trip) but it was not to be. Oh well, there will always be a next time, I guess. 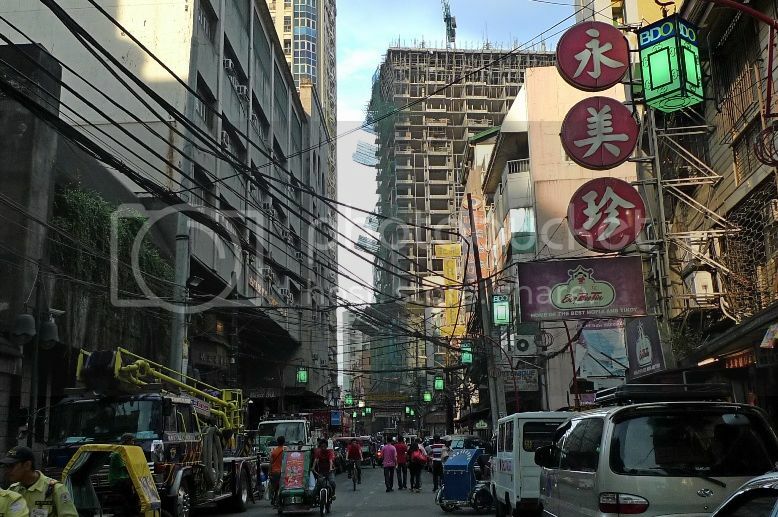 I had wondered around Binondo for only two hours, but the sky was beginning to get dark. Manila gets dark early which is not good for a tourist like me. 6pm in Manila is like 8pm in Kuala Lumpur. I did not have much time to visit every nook and corner of this Chinatown for this trip, but it would have to do. Perhaps I will return here next time to explore further.